A while back there was a Louis Theroux program on TV called ‘Drinking To Oblivion’. While the program focused on alcoholics, the truth is, becoming alcohol dependent is a process. Anyone can find themselves facing stress, knock backs, rejection, failure or even just boredom. 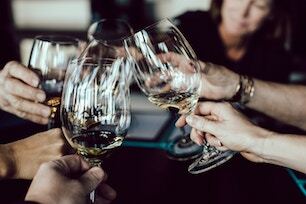 Because having a drink changes the way you feel, lots of people develop habits of drinking more, or more often than they’re entirely comfortable with. If you’re worried about someone who is drinking too much, you would like to be sure you are really “choosing to have that drink, rather than drink choosing you”, or if you have an interest in health and well-being, I’d like to offer you something I believe is unique. Stop For Good Today, a new approach for people who want to exercise real choice about how much or how often they drink. Alcohol isn’t the problem. But misguided consumption can lead to all kinds of problems: from weight gain and hangovers, to believing you can’t cope or relax without a drink. Please email denise@hummingbirdeffect.com to discover more.